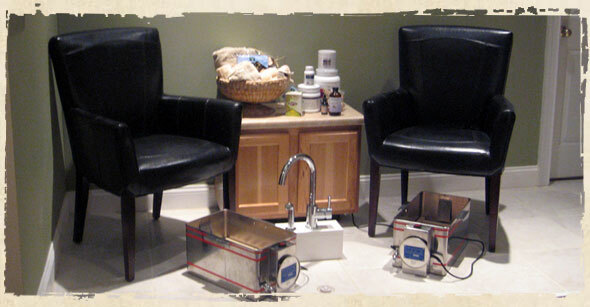 Foot bath therapy assists in removing toxicity and mucous from the body. Another benefit is to help increase cardiovascular circulation. Herbs from Germany are placed into the foot bath and are gently heated between 95-100 degrees Farenheit by the machine. As the herbs are heated this stimulates the removal of toxins.